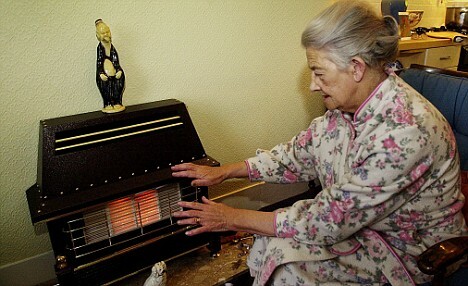 Last year there were 44 excess winter deaths in Oxford resulting from Fuel Poverty. With a legal responsibility placed on Government to eradicate fuel poverty by 2016, it is getting worse. Brenda Boardman trustee of LCON and author of Fixing Fuel Poverty will address the AGM of Low Carbon Oxford North on May 22nd at 7.30pm at Beechcroft Road Baptist Church hall. All are welcome. Doors open at 7; AGM starts 7.30; speaker at 8ish; refreshments 9. My bike was stolen sometime on Friday, Friday /Saturday night 18/19 May. It was taken from the back of our garage which can only be reached by climbing some fences or railings. We found no traces anywhere. I thought I would let you all know to keep garages locked, windows closed etc etc. The bike was about 30 odd years old and nothing special but it had good replacement wheels and bike lights. While not mentioned by name, the Victoria Road News and Views was valuable in introducing a post on Advice to Ofcom about hyper-local media. Did you know that we are hyper-local? And why not start off by visiting the Summertown United Reformed Church Summer Fair on Saturday 12th May 10.00am-4.00pm. This welcoming event will include arts and craft stalls as well as books, cakes and provisions, children’s activities, competitions, gifts, plants and refreshments; and an organ recital in the Church 2.30-3.30pm. Proceeds will go to repairing the front of the church and adapting the building for greater community use, so please do come, your support for this much-loved Summertown facility will be greatly appreciated. For another musical interlude in your artistic explorations, watch out for the wonderful Exuberant Quartet (players from last year’s Ballet in Small Spaces tour) playing in St Michael and All Angels on Saturday 12th May at 1.00pm… As well as their concert in the evening at the Jacqueline du Pre at 8.00pm. 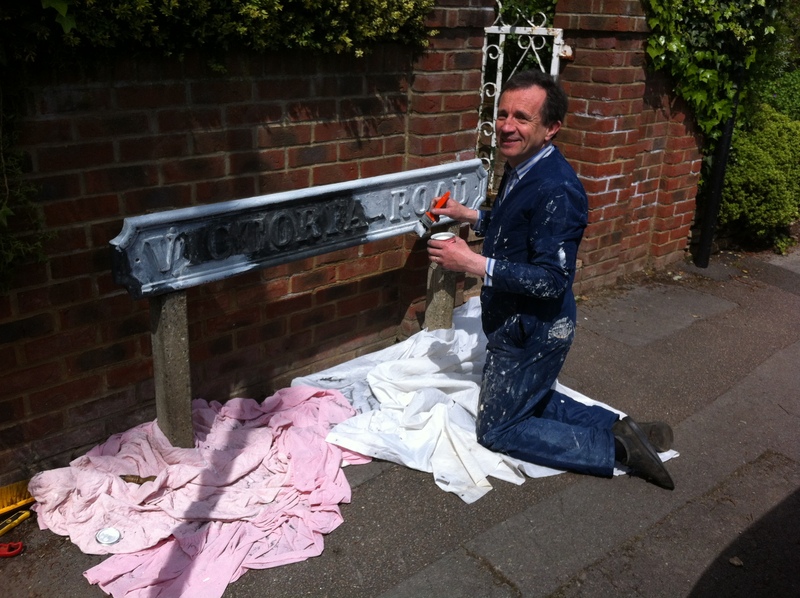 Victoria Road residents pitched in to repaint one of the road sings before the Queen’s Jubilee and the neighborhood’s Seven Roads Party. 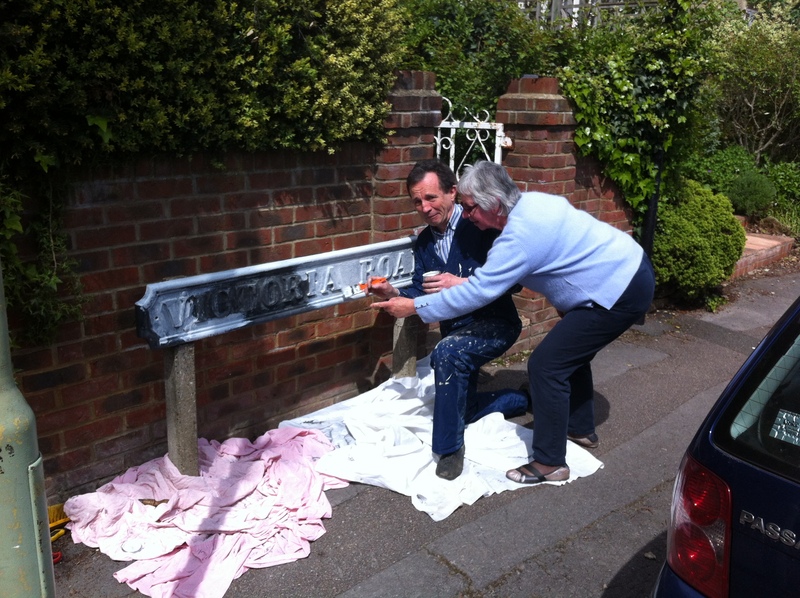 Many thanks to Jonathan for the paint job, and to Sally for supervising. We are sure that this is only one of many indirect benefits of the celebrations.